Conservative director, pundit, ex-Reagan advisor, and talking head Dinesh D’Souza was just sentenced to five years of probation and eight months of community confinement for violating campaign finance laws during the 2012 election. Some may look at this and see it as proof that people who try to corrupt our government are not being given free reign, but the reality is far more depressing. D’Souza’s conviction was not, in reality, for contributing any substantive level of corruption to our political system, but rather being so incredibly stupid that he decided not to avail himself of one of the many legal ways any wealthy individual can now use to buy our politicians. In 2012, D’Souza used his mistress and an assistant in his employ as “straw-donators” to give $20,000 ($10,000 each) to the campaign of Wendy Long—an old college friend of his who was trying to oust NY Senator Kirsten Gillibrand. Straw-donating is a well-established form of campaign finance fraud that involves the explicit arrangement for one person to reimburse others if they donate to a specific campaign (in order to get around individual campaign contribution limits). 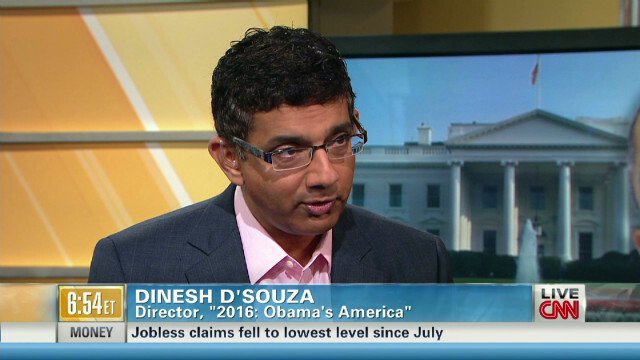 After a short period of claiming that his prosecution was an Obama conspiracy, D’Souza realized that he was caught red-handed and pled guilty to his crimes in May 2012. The truly sad thing about this conviction is that it is so unnecessary. D’Souza could have easily made a superPAC not officially associated with Gillibrand that he could then give millions of dollars to in order to run ads supporting his friend. This would have been entirely legal, not to mention far more difficult to trace. Whether through laziness, arrogance, or ignorance, D’Souza chose not to use the legal avenues to corrupting our government and, instead, chose to do one of the few methods that are still banned under our fraying campaign finance laws. Our politics are flooded with corrupt interest-money and D’Souza’s comparably miniscule $20,000 donation is not even a drop in the bucket. His conviction is, at best, just desserts for a particularly irritating right wing lunatic, and, at worst, a distraction from the greater problem. If we focus on the few famous idiots who are caught violating campaign finance laws in little ways, we will miss out on the vast avalanche of corruption that is technically no longer illegal (since the 2010 Citizens United v. FEC case). 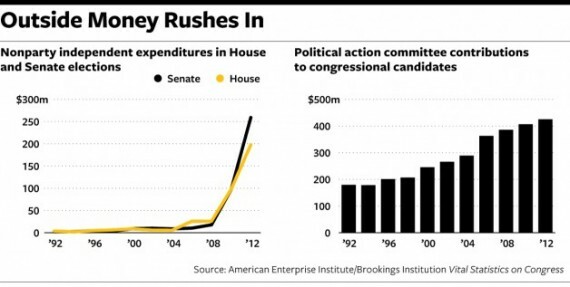 Just last election cycle, one man—Sheldon Adelson—broke the all-time American record for political donations during an election cycle by giving over $150 million to a variety of right wing politicians and PACs. For those of you who aren’t good at math, this means that he gave 7,500 times more than D’Souza did. Adelson is not alone in his massive donations, and is just an extreme example of a much wider problem. For some reason, some Americans have been convinced that the illegal thousands being donated by D’Souza are more corrupting and worthy of condemnation than the hundreds of millions of dollars that are slipping through the cracks in the law. This is absurd. 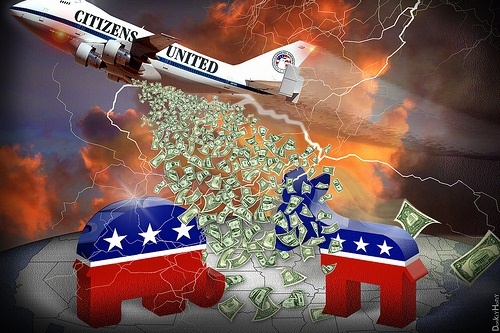 The money donated by millionaires and faceless corporate entities is far more significant than the paltry illegal donations, and the only thing that makes it legal is the fact that those who are donating it bought enough power to change the law in their favor. Essentially he was convicted for being stupid.